After four years and expenses of more than $700,000, a California-based small business advocate on Thursday won an agreement from the Justice and Defense departments to pay his legal fees for litigation forcing the government to release confidential contracting data. Lloyd Chapman, the outspoken founder of the Petaluma-based American Small Business League, declared victory in what he called an “historic” move by Judge William Alsup of the U.S. District Court for the Northern District of California to require the government to pay Chapman $475,000. Neither Justice nor the Pentagon would comment on the case to Government Executive, but Chapman’s award was confirmed by his Washington attorney, Jon Cuneo of Cuneo, Gilbert & Laduca. The litigation had bounced around in recent months with victories for both Chapman and the government at the district and appeals court levels. 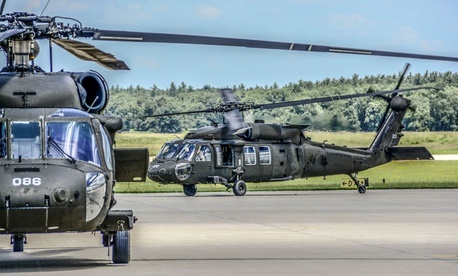 The main result in March 2018 was the Defense Department’s release of Sikorsky’s previously confidential comprehensive small business plan for fiscal 2013. The company feared that disclosure would put it at a competitive disadvantage. The American Small Business League’s larger target is the Pentagon’s 28-year-old Comprehensive Subcontracting Plan Test Program, designed to “determine if comprehensive subcontracting plans on a corporate, division or plant-wide basis [instead of for individual contracts] would lead to increased opportunities for small businesses,” according to its website.